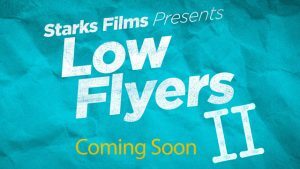 The Story: Four underachieving college students set off on their next shenanigan fuelled holiday in the second instalment of Low Flyers. The manager of a cafe considers himself to be worldly, cultured and deems himself to be what others should aspire to. Extremely pretentious and loves taking the credit for other peoples hard work. University student, very knowledgeable but has a lack of friends due to her clumsiness often putting the people around her in unfortunate situations. British boat sailor who loves the sea, gone a bit mad over the years after spending too much time sailing alone. Has been banned from sailing but will find any excuse to jump back on a boat. Has travelled the world, seen it all and done it all. Holds a bit of resentment for western society having spent time observing some of the poorest places in the world. We strongly recommend you arrive early – audition slots are first come, first served and typically go within the first hour of the event. Not everyone is guaranteed an audition slot – and everyone must sign up on the day. There are no pre-allocated slots. Please prepare a 2 minute monologue of your choice and bring your CV & Headshot. Any questions please email info@survivingactors.com Please do not approach the production company directly.